I have a valid Apple iOS dev account and all provision profiles set. I can debug the application on my iPhone. But when I do Product -> Archive and went to the organizer, there is only a "Validate..." and "Distribute..." button. Clicking the "Distribute..." button only provides me with "Save built products" and "Save Xcode archive" which both doesn't contains any "IPA" file. There is however an "MyApp.app" file built. I'm not sure what to do about it though. In short: Make sure you have configured all linked libraries with "Skip Install" to "YES" in the build settings screen. There are a few detailed instruction on how to do that here on SO. Failing that, clicking on "Validate..." should clue you in to any potential fixes. So, I just set-up my machine and somehow on one of a library project "Skip Install" was reverted to "NO". The first sign that this is wrong is that the "Archive Type" shows up as "Generic Xcode Archive" which is the wrong one. You can verify this by selecting the archive in organizer and clicking "Validate...", Xcode should tells you about the multi-bundle problem. The "contains multiple product" is a known Xcode issue and can be worked around by making sure that all built products in all of your projects have the build setting "Skip Install" set to "YES" except for your main application project. This can happens if you add a library project by dragging the xcodeproj file into Xcode. After fixing it and re-archiving, it should now shows up with an archive type of "iOS App Archive". And if you click "Distribute..." now, you will now be able to properly export an IPA by selecting the second option. Not the answer you're looking for? Browse other questions tagged iphone objective-c xcode4 or ask your own question. 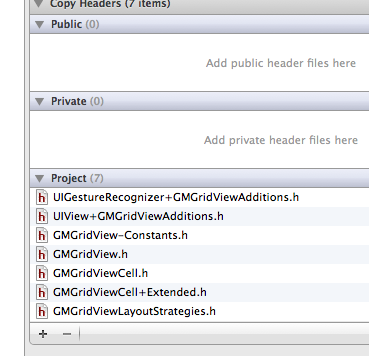 Multiple Certificates/Provisioning Profiles in one Xcode organizer?